I got this question during Sunday school last week, recalling my previous post on the subject to mind. The question didn't surprise me, because this idea that all guilt is wrong is so ingrained in our culture today. I answered with an analogy. Guilt, like pain, is unpleasant. If we are in great pain, we understandably want it to go away. We want relief quick! But pain also alerts us to some medical malady. If by treating the pain we mask the malady and leave it untreated, the results can be catastrophic. For this reason, those who suffer from leprosy and lose their nerve endings learn to very carefully monitor their extremities. Because they may not feel the pain of a simple cut, infection can set in before they realize they've been injured. Guilt plays a similar role with respect to sin. Its primary function is to alert us to a deeper problem. David needed to feel the guilt of his sin with Bethsheba. Denying it merely prolonged his rebellion. In the end, God used Nathan to apply the scalpel to David's conscience, revealing David's guilt and enabling him to repent. Of course, our culture flatly rejects the concept of rebuke (see this post for more on that), because rebuke implies guilt, and guilt is bad! Now, is it possible to experience false or extreme guilt? Sure, in the same way it's possible to suffer from hypochondria or health anxiety. 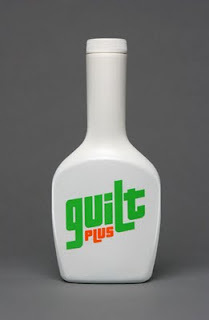 But on the whole, guilt gets a bad rap. The biblical answer to guilt is not to treat the symptom, but to go after its root cause through confession, repentance, and then--like David--to experience the cleansing grace of God. I plead guilty, Your Honor, and throw myself on the mercy of the court! What a great thing to read first thing in the morning. Thank you.